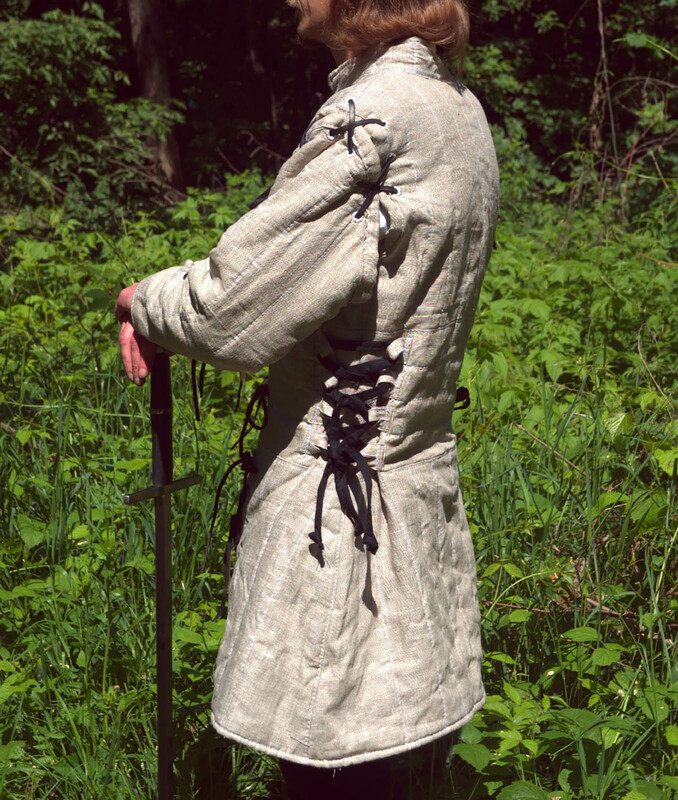 This gambeson is already sold. You can order al,ost the same model here. 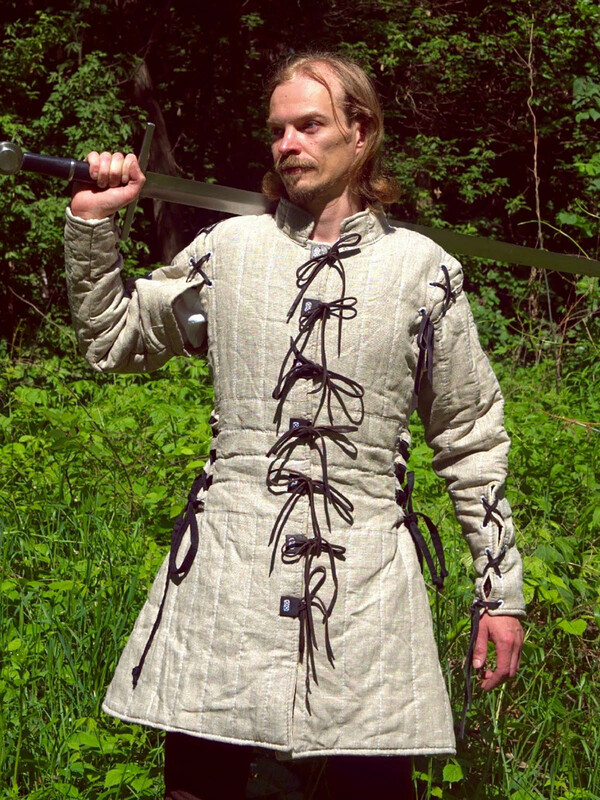 Gambeson which is suitable for usage for both, men and women. 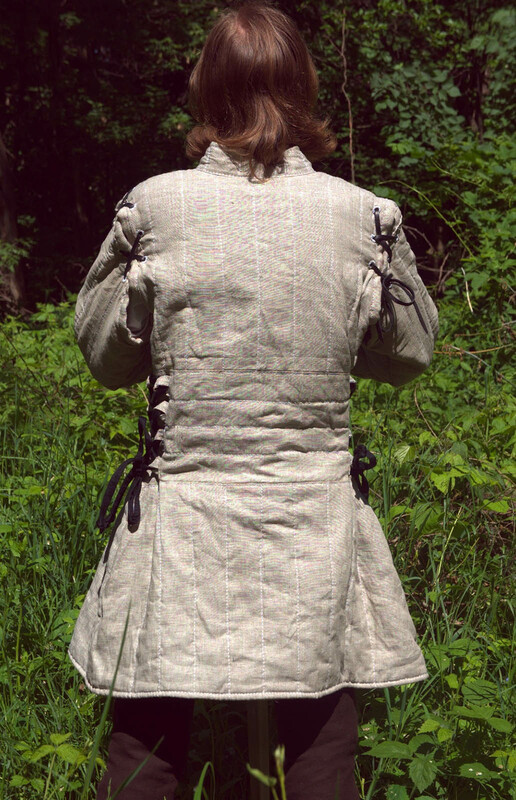 We use only 100% natural fabrics of different colours for padded protection manufacturing. 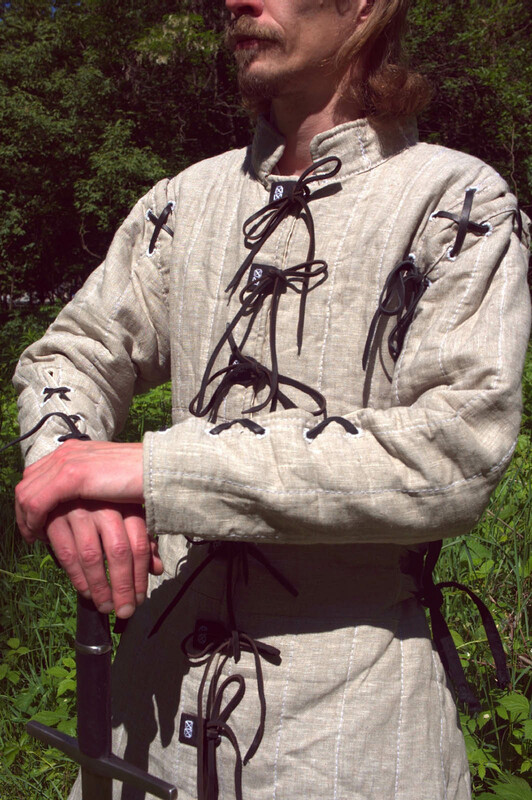 This medieval gambeson has black leather fastenings on the cuffs and on the waist. Men's pants with lacing are made of natural uncoloured cotton. For parameters: Hips 90-100 cm Height up to 165 cm Total length 91 cm ..